Magnetica's album was born on the dance-floor, matured on the DJ stages and peaked in the studio. Rinat Swissa's (aka Magnetica) debut album is a psy trance story told from the view of a girl who grew up on the dance floor as a devoted party goer. Her passion for this music drove her to become the most noticed dancer on any dance floor she visited as a true member of the global trance tribe. As she grew up, her next step was to become a leading DJane in Israel's trance parties who can burn any dance floor and please any crowd with pumping b.p.m's as she is still a "dancer born on the dance floor" in essence. Next carfully crafted step was to become an artist who could now finally produce her own soundtrack for a party. Taken in custody by no other then Moshe Keinan (aka Xerox) as her co-writer in some of the tracks and producer of all her musical concept, Magnetica dedicated herself to learn the ways of trance music production. Aside from Xerox's guidence, Magnetica was embraced by many artists who collaborated with her on the album. Void, Illumination, Insomnia, PTX and Z-machine are among those paying their tribute into this debut celebration of an album. 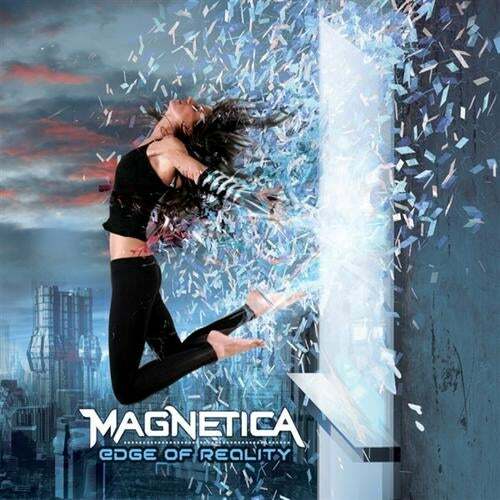 Magnetica is set to take on the world and lead it to its "Edge of reality"!